Pretty and sweet with something more sinister. 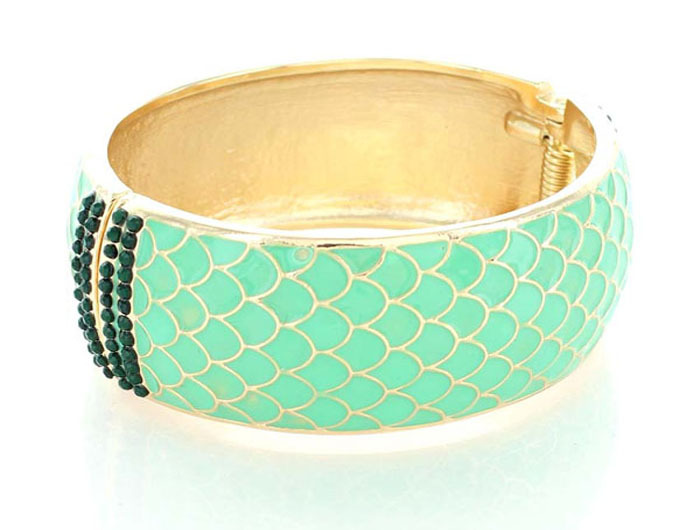 The Lilly Bangle Bracelet comes in textured snakeskin detail, rhinestones, gold metal casting, and a hinged clasp. A statement solely, decadent paired with others. Buy this gorgeous piece of costume jewellery online here today.